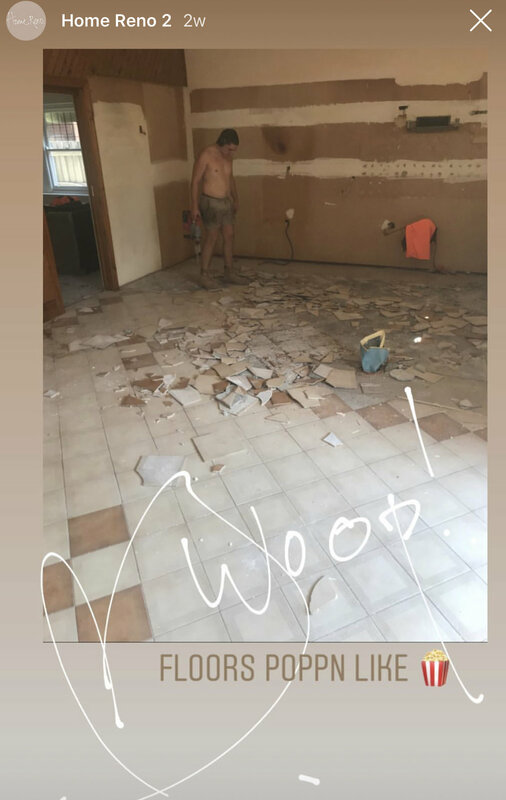 Welcome to our Home Renovation 2.0! 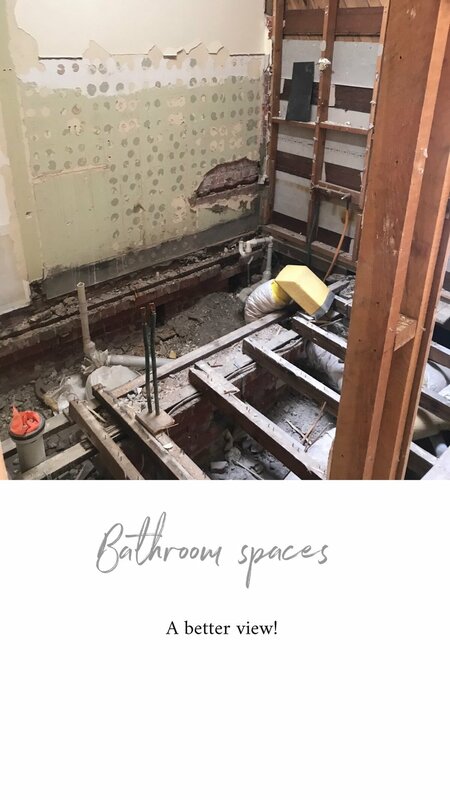 Our second renovation has well and truly begun, and we are right in the depths of the demolition process. 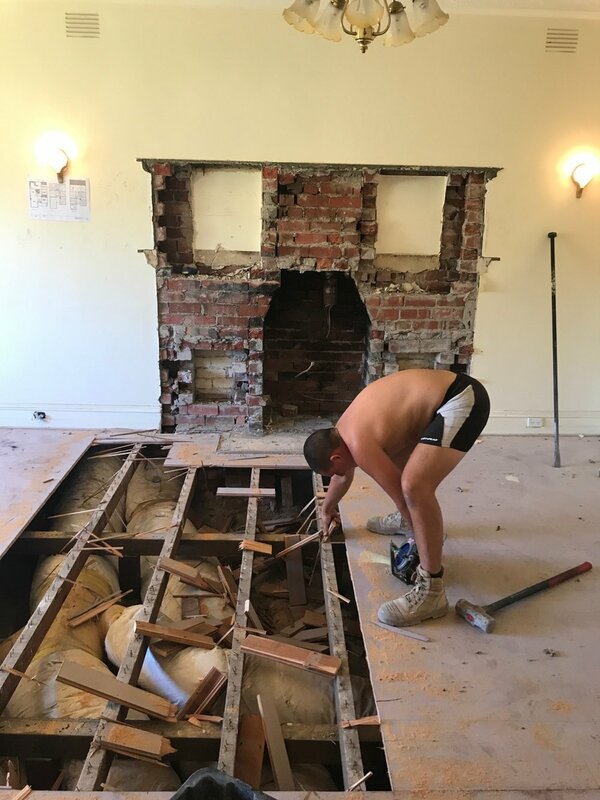 Plaster, tiling and carpet have now all been removed, and our dedicated team, James, Joel and Moh, who are doing most of our demolition and carpentry, are currently working on our flooring level. 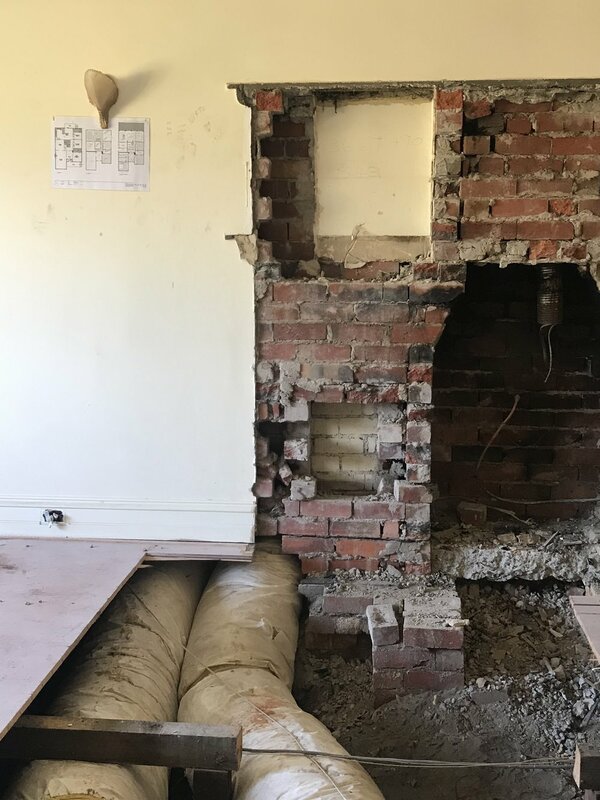 Throughout both this, and our last renovation, we have learnt the importance of having a strong, trusting relationship with the tradesmen we work with. 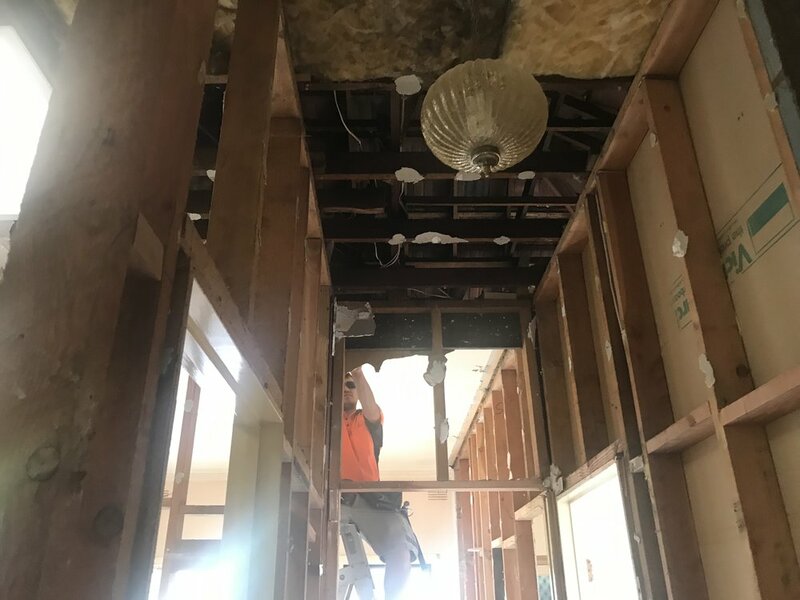 We are very fortunate that our building team is passionate and hardworking, and we continually ensure that communication is only clear, and most importantly, that everyone’s spirits are high on site! Our VERY hands on team. 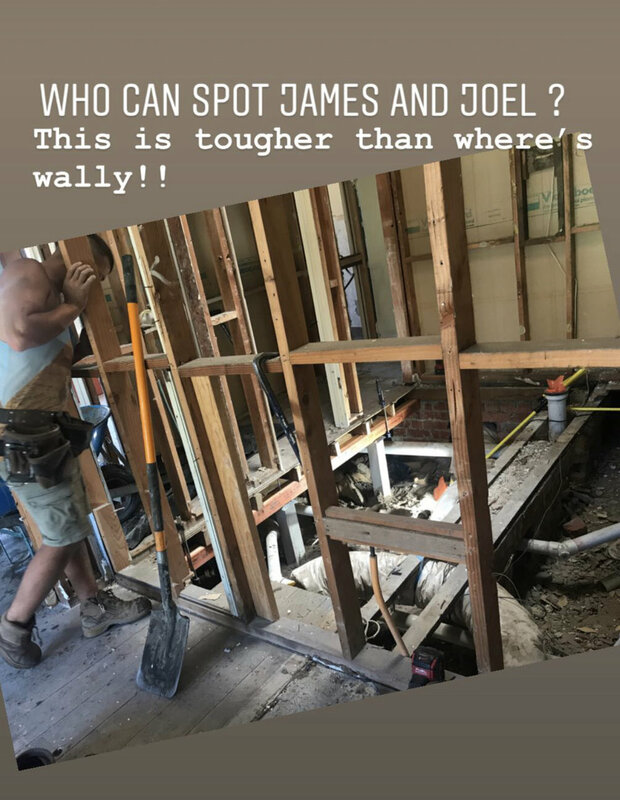 Pictured here are Joel and James, who are literally under our house, calling out measurements to Moh who is cutting joists for the support of the floor. Projects like this often come with little surprises as sometimes things don’t go according to plan. Such an example is our unexpected discovery of the pesky building enemy: asbestos. Luckily, it was able to be safely removed, and we were able to get back to work in no time! Another thing that I’ve been dreaming of installing arched windows at the back of the house, however prices were escalating, and I had to trade it in for European oak retractable window doors. Gotta pick my battles, right?! They are just as beautiful and I can’t wait to show you the finished product. 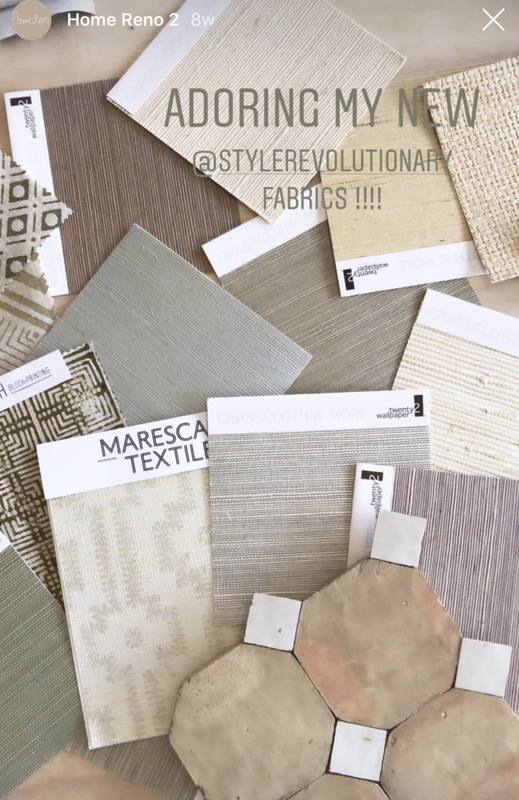 Have a look at our moodboard below, a compilation of everything that has inspired our new home. 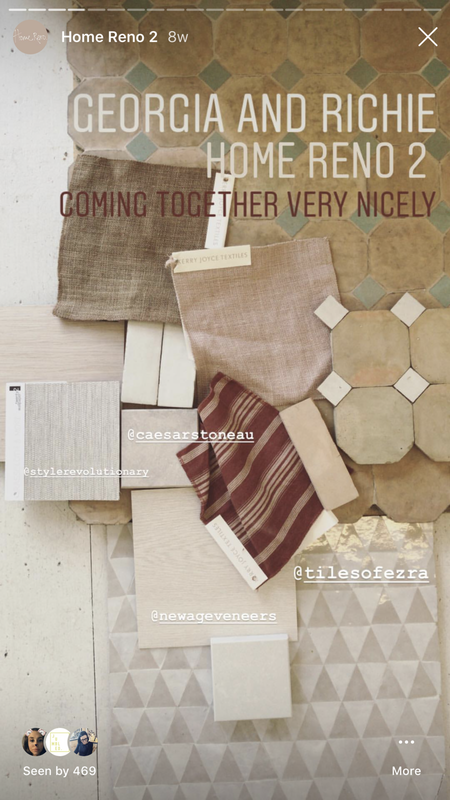 We are absolutely thrilled to be working with talented suppliers and extraordinary brands that are helping us create our dream home. For our new followers, here is a recap of our last renovation - Click here for the final video of Home reno 1. 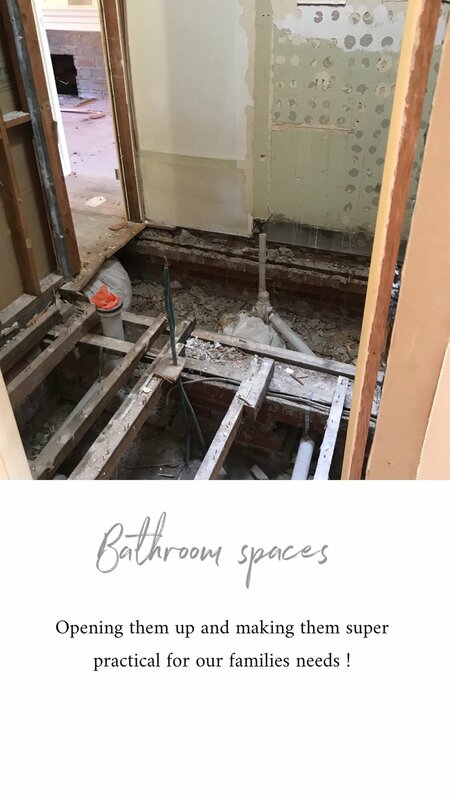 Home Renovation 2.0 will be even bigger and better, and we hope you are excited as we are. We will be sharing our entire renovation journey with you here on Georgiaezra.com, so keep your eyes peeled for updates on challenges, successes, details on brands we are working with, on baby number 2’s arrival (we can’t wait), and much more. 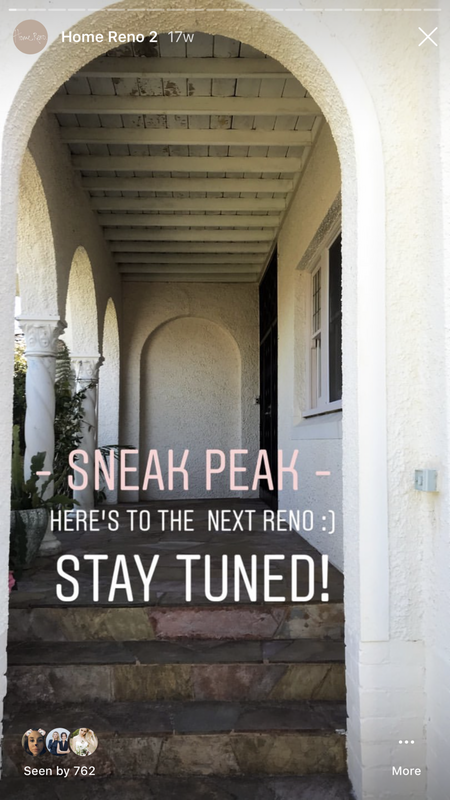 STAY TUNED for the next installation of our Home Renovation blog and if you know anyone who you believe will enjoy and benefit from joining us on our renovation journey, share our blog and my instagram page @georgia_ezra, where you get the updates first. Help us spread and inspire as many as possible! I have long been a sucker for bringing greenery into the home (waaaaay before it became super trendy and fashionable!) Bringing plants and nature inside has the incredible power to uplift mood, soul and spirit. I always make sure myself and the team at Studio Ezra incorporate greenery in the spaces we design to ensure we create the most healthy and experiential spaces. Obviously, we can't put just any plant anywhere and everywhere as it may not be able to live in the conditions of the space... So here is everything you need to know about my 5 go-to indoor plants. I absolutely adore Kentia Palms! They do not need loads of sunlight so they are great for rooms that are on the darker side. They grow tall and not wide so they are also a great space saving option! Be careful not to overwater your kentia palm, watering it only when the uppermost soil layer is dry. Although olive trees are not necessrily indoor plants, I have always loved to bring them inside. This is totally possible however, they then need to be situated in areas that receive A LOT sunlight.. Such as in front of north facing windows. One of the main reasons why they are one of my faves is because they are soft and have an extremely calming quality about them. Oh and the colouring of their leaves is just stunning. Fiddle leaf fig trees are always a winner. Their oversized, large leaves are relaxed but architectural and beautiful. They make a statement but still manage to remain soft in their look and feel. They add so much warmth to the home. Make sure these get indirect natural sunlight and loads of it, they are sensitive plants and can be affected quickly and easily if not receiving the right amount of light. You may beed to move them around your home to find their perfect niche! Now here's on you have seen but probably never known its actual name. I am obsessed with Yuccas! They are exotic, gorgeous and have low water requirements. Very durable plants! These indoor cactii are amazing as they are dramatic succulents that will grow to 2m high if they have rom. They are hardy and don't need much watering. These give that luscious greenery required and the height we all want in an interior! Beware, may not be the most suitable with young children. Youch! 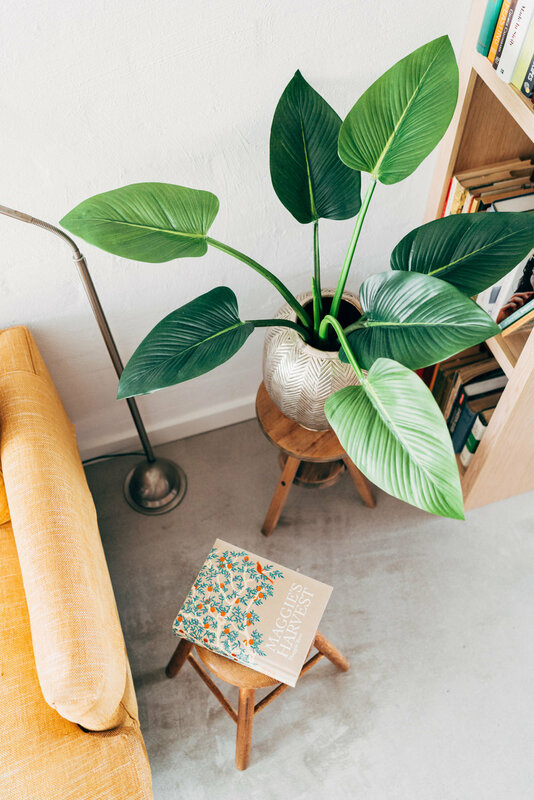 What indoor plants do you have in your home? Let me know which plants you love in your home and why in the comments section below. Always love discovering some new, gorgeous foliage!